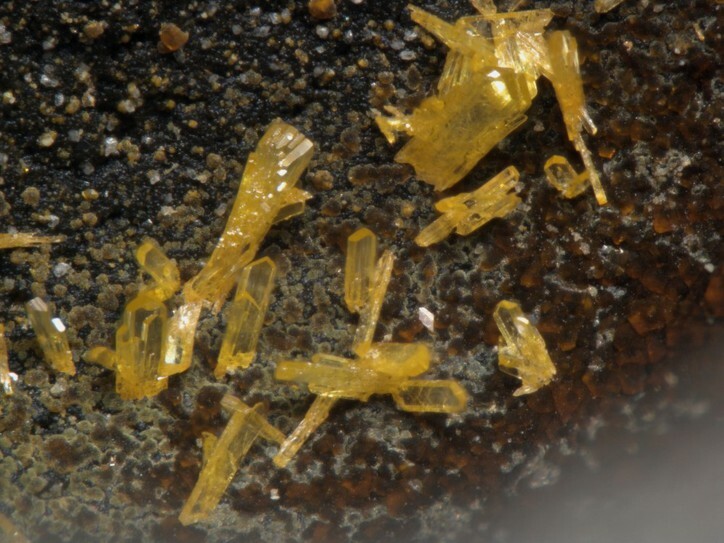 Nealite: Mineral information, data and localities. 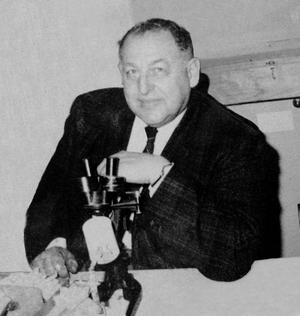 Named by Pete Dunn and Roland Rouse in 1980 for Leo Neal Yedlin (20 March 1908, Brooklyn, NY, USA - 7 October 1977, New Haven, CT, USA), American lawyer, author, and prominent mineral collector, who discovered the mineral. The mineral yedlinite is also named in his honor. Bladed yellow brown to orange brown crystals. Paralaurionite 8 photos of Nealite associated with Paralaurionite on mindat.org. Laurionite 5 photos of Nealite associated with Laurionite on mindat.org. Cerussite 3 photos of Nealite associated with Cerussite on mindat.org. Phosgenite 3 photos of Nealite associated with Phosgenite on mindat.org. Georgiadèsite 3 photos of Nealite associated with Georgiadèsite on mindat.org. Gypsum 1 photo of Nealite associated with Gypsum on mindat.org. Goethite 1 photo of Nealite associated with Goethite on mindat.org. 4.JD.10 Seelite Mg(UO2)(As3+O3)0.7(AsO4)0.3 · 7H2O Mon. Dunn, P.J., Rouse, R.C. 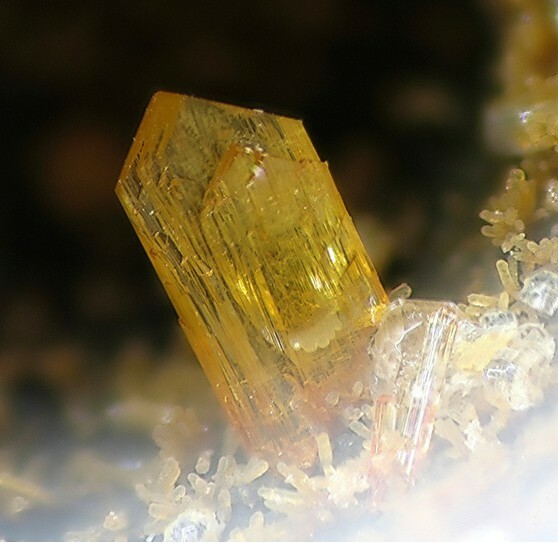 (1980) Nealite: a new mineral from Laurion Greece. Mineralogical Record: 11: 299-301. Guiseppetti, G., Mazzi, F., Tadini, C. (1993) The crystal structure of nealite. Neues Jahrbuch für Mineralogie, Monatshefte: 1993: 278-288. Pertlik, F., Schnorrer, G. (1993) A re-appraisal of the chemical formula of nealite, Pb4Fe(AsO3)2Cl4.2H2O, on the basis of a crystal structure determination. Mineralogy and Petrology: 48: 193-200. Jambor, J.L., Grew, E.S. (1994) New mineral names. American Mineralogist: 79: 387-391. Kolitsch, U., Rieck, B., Brandstätter, F., Schreiber, F., Fabritz, K. H., Blaß, G. & Gröbner, J. (2014): Neufunde aus dem altem Bergbau und den Schlacken von Lavrion (II). Mineralien-Welt 25 (2), 82-95 (in German). 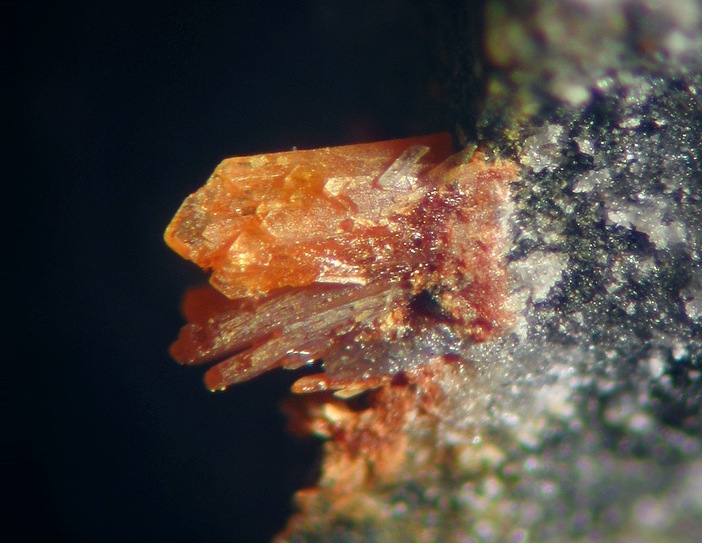 Bonifazi Marco, Marius Utens and Fritz Schreiber collections; van Kalmthout, P. (2012): De slakkenmineralen van Lavrion (Gr.) - Ontwikkelingen na 1996, inclusief een archeologische ontdekking. GEA, 45 (1), 14-19 (in Dutch). Rivista Mineralogica Italiana, 22 (3), 39-41.
ⓘ Katowice - Piekary Śląskie area slag dumps ?